Rugged durability that can stand up to difficult conditions. Enough capacity to carry all your gear out and back. Reasonable weight so it doesn't add too much to your gear. Good load distribution to help you keep your balance. Sufficient compartments and pockets (internal and external) for everything you need. A padded back panel that increases your comfort. MOLLE compatibility so you can add easy-to-access packs and pouches as necessary. Carrying your pack miles up a mountain where you'll camp for weeks, loading up and trekking into the woods for a hunting recon mission, or keeping your tactical backpack stuffed with gear so you're ready to roll at any time requires tough fabrics that can stand up to anything. Look for ripstop nylon or polyester construction with waterproofing features that can keep your gear safe and dry. Packs with 500-denier or higher are exceptionally sturdy, but most lightweight hiking packs are made with 250-denier or lower nylon. OCP and other camouflage patterns can keep you concealed in the forest or during nighttime operations. If you're looking for a tactical backpack that can carry you through a variety of scenarios, choose one with some type of camouflage. The best tactical backpack will hold enough gear to get you through anything and give you the ability to bring more weight back, too. Look for interior and exterior pockets that expand to give you more room, as well as MOLLE webbing. A MOLLE backpack allows you to attach slings, IFAKs, ammo pouches and other tactical pouches you might need in the great outdoors. Hydration system compatibility. If you'll be using your tactical pack for long treks on foot, a built-in hydration system or a sleeve for a hydration bladder is essential. Expandable storage. A zippered expandable storage pocket helps you carry more or less gear without affixing MOLLE pouches. Adjustable compression straps. Compression straps let you tighten down your load and can make carrying easier. High-vis panels or lining. Hunters and nighttime adventurers can benefit from high-visibility panels that alert others that there's a human moving around. Sternum straps. Sternum straps help balance out the load and keep your center of gravity in the right place. 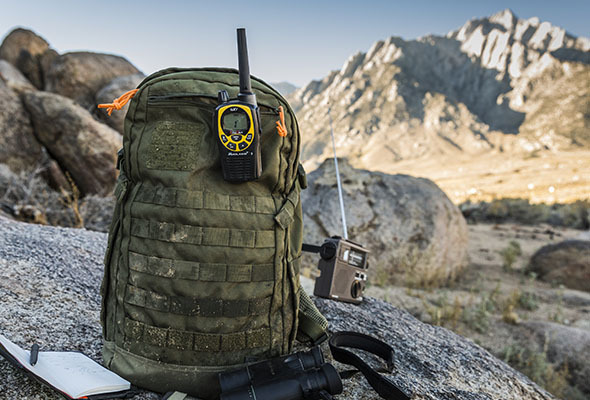 Finding the perfect hunting pack or tactical bag for hiking and camping doesn't have to be hard – as long as you know what features you need, you'll be able to find the right backpack for your next series of adventures.